LETTER | The "donation" of RM2 billion by an insurance giant in exchange for an exemption for local company ownership rulings is by far a disgrace to the nation. Not only do we change our policy of ownership by foreign financial institutions, we literally tell the world that our financial policy is for sale at the right price. We deny the rights of Malaysians to share the company that is repatriating its profits to Singapore. This “donation” is unusual. First, the party that is giving the donation to Bank Negara gets the right to administer the insurance programme and expects to earn some administration fees and the premium. The net effect of the value of donation now is reduced. The most halal, kosher or syariah-compliant way is that the donor donates without any strings attached. Sad to see that an organisation like Bank Negara which champions Islamic finance doing exactly the opposite of what it preaches. 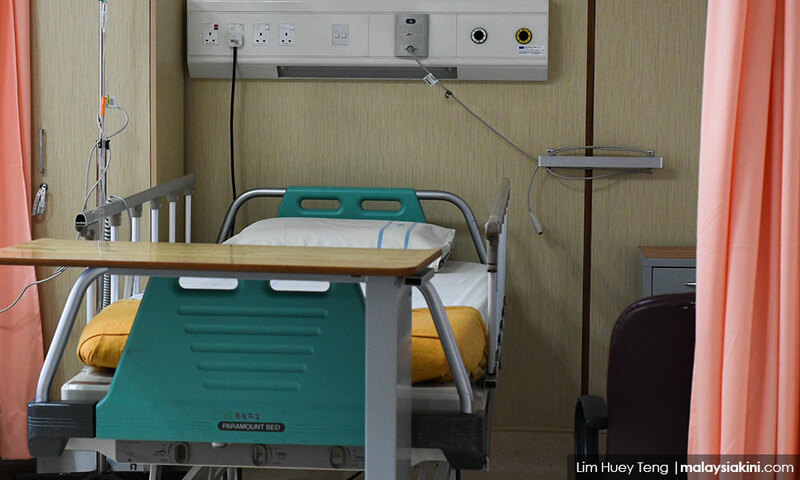 Prior to GE14, the government set up Protect Health Sdn Bhd (Protech) under the Health Ministry as a government insurance company that is to manage the National Health Insurance scheme. It has now been announced that it will only manage the Peka B40 healthcare scheme. Quite obviously, the MySalam programme should be managed by Protech too. Why is this not done? For a fund the size RM2 billion, one doesn't need an insurance company. It can be self-insured. To protect itself from a loss beyond 100 percent, the government can take stop-loss insurance or maintain a policy that the CI benefit is provided until the exhaustion of the RM2billion. Secondly, the amount of RM2 billion could have have been used to kickstart a national healthcare insurance programme that will cover the population in various stages. The money could have been used to cover the B40 and the many other segments and can be self-funded. But instead of running an overall programme that can enhance the quality of healthcare for this country, it is now being turned into a game of lottery and offered to the B40 group. For having cancer, the B40 group will get RM8,000 each. If the idea is to provide a health benefit, the right thing to do is provide health insurance which will provide unrestricted medical treatment to all illnesses (instead of only 40 critical illness). Mathematically, it can be shown that for the same amount of money, each of the B40 will be able to get hospitalisation benefits where insurers providing between RM30,000 and RM50,000 a year. Why didn't the government do this? Kickstart a national health insurance programme and use the money to run it using public hospitals first? Use it as a seed that will grow into a national programme that will benefit future generations. This raises many questions on why the government is not doing the fundamentally right thing. It raises questions about values, syariah compliance and transparency. I urge all parliamentarians from both sides of the divide to address this immediately before it is too late.